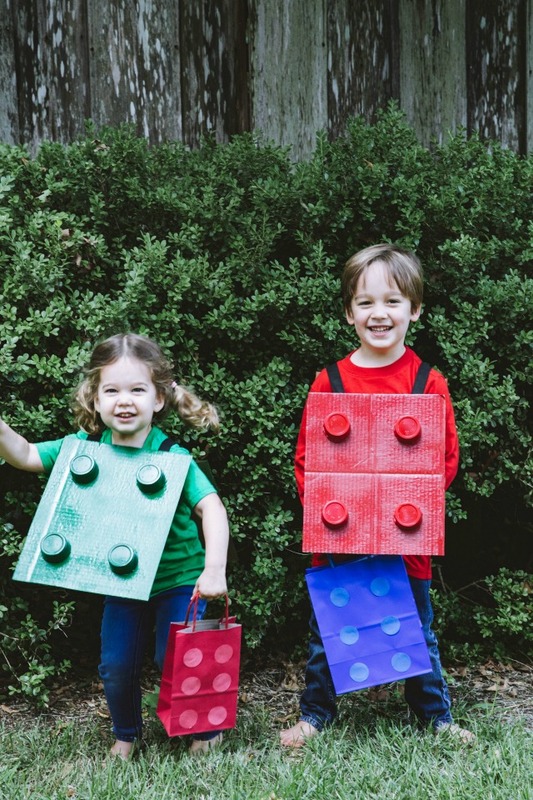 DIY LEGO Costumes - C.R.A.F.T. My 4 year old son recently made the switch from DUPLO bricks to LEGO bricks, and he’s obsessed! To be fair, he still enjoys his DUPLO bricks, but these 3 in 1 LEGO sets are his absolute favorite. I wasn’t surprised at all when he declared he wanted to be a LEGO for Halloween. We like to do family costumes around Casa de Dorobek, so I set out to make 2 kids LEGO costumes and 2 adult LEGO costumes. To be honest, these are some of the easiest costumes I’ve ever made and each one literally takes about 15 minutes, minus dry time! 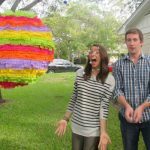 I teamed up with my friends Angie from Country Chic Cottage and Carolina from 30 Minute Crafts, Jessica from Mad in Crafts, Jen Goode from 100 Directions, and Kara from Mine for the Making to share tons of hot glue gun crafts that can be made in under 15 minutes in honor of Carolina and Angie’s new book called Hot Glue Hacks and Crafts. 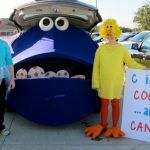 I used 2 large cardboard boxes to make 2 adult LEGO costumes and 2 kid LEGO costumes. 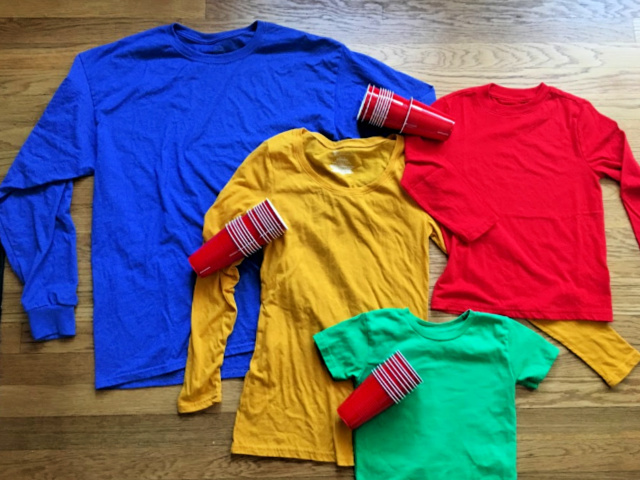 The kid costumes are front and back and the adult costumes are front side only. Ultimately, I let the size of the cardboard boxes I had on hand determine the size of our LEGO brick costumes. 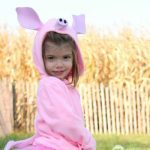 For reference, our adult costumes are 12″ wide and the kid costumes are 10″ wide. Also, PenBlades are the best at cutting cardboard! Use a regular paid of scissors to cut the plastic cups. I cut each cup to the line at the bottom of the cup to ensure that all of the cups were the same height. 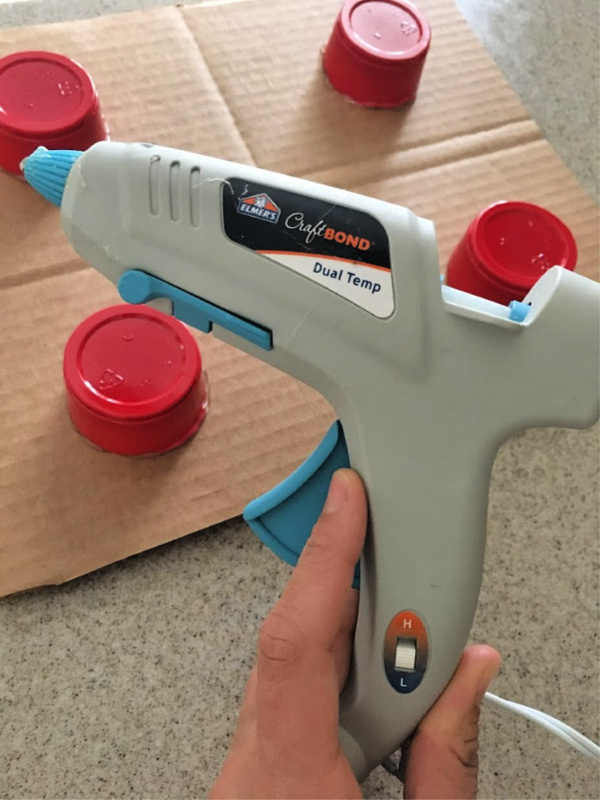 Make sure to use the low heat setting on your hot glue gun. If you don’t have a low temperature hot glue gun, you can use a high temperature glue gun but it will melt the rims of the cups. 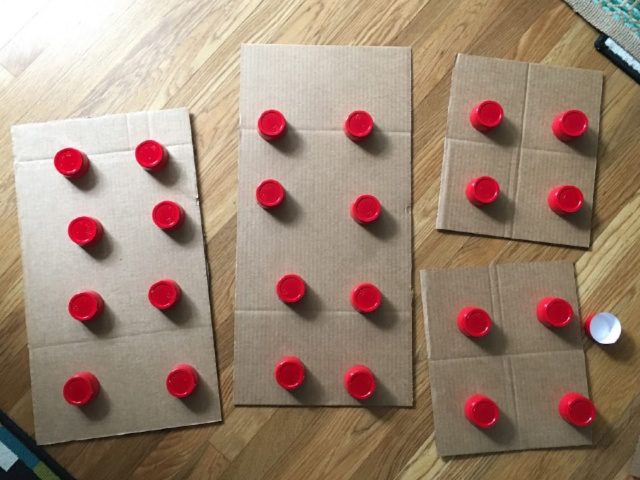 I set the cups up on the board to look even to my eye and then used a pencil to mark around each cup. That way I could easily see where to set each cup down after I put a ring of hot glue around the rim. This is the fun part! It’s time to bring the cardboard and plastic cups to life! 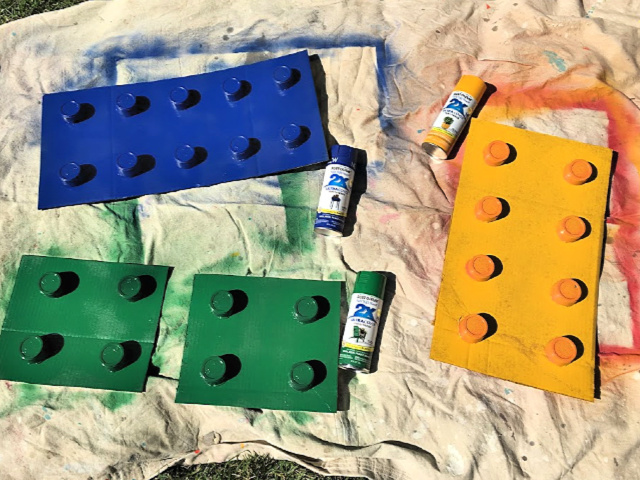 Each one will need at least 2 coasts of spray paint, and the yellow LEGO needed more. I typically use the straps from an old reusable grocery bag, but ribbon would work perfectly too. For the kids costumes, I hot glued the useable straps to the backside of each board to make a sandwich board for each kiddo to wear over their head. For the adult costumes, I made the LEGO bricks a giant necklace. 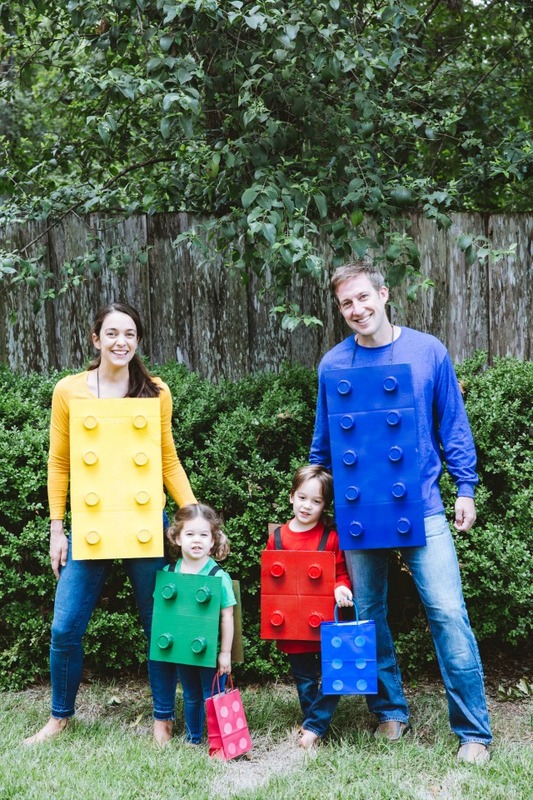 Once the straps are added, you’ve got the cutest little LEGO Halloween costumes you’ve ever seen! Oh and the LEGO treat bags are beyond easy to make. I bought a reed and blue paper gift bag at Target and added 6 construction paper dots with glue! Happy haunting, friends! 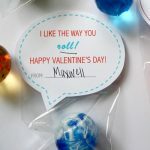 These are so easy and so cute! Thanks for joining!